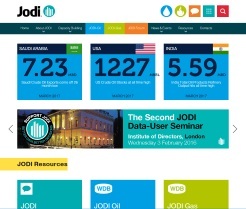 The Joint Organisations Data Initiative utilise news, events and membership features and use the WebCharge interface to manage a custom database. 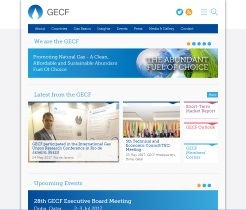 The Gas Exporting Countries Forum website is fully responsive, easy to update with new events, and has a membership feature. 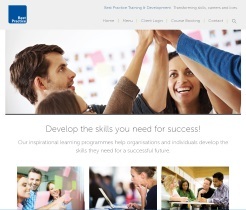 WebCharge allows Best Practice's clients to easily register for training courses and log into their account. 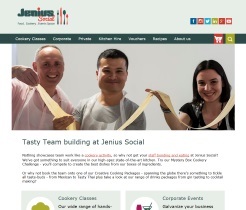 Jenius Social utilise the extensive e-commerce facilities built in to WebCharge to manage their online shop, web based orders, and integrate with a third-party PSP. Fonseca utilise WebCharge for its new responsive website, which is clear and fresh, straight to the point, with a Blog for SEO purposes. 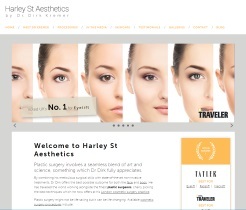 Dr Kremer from Harley Street Aesthetics uses WebCharge to manage his website content, blog, and utilises Gallery and Testimonials features. If you're looking for help with website content management or e-commerce then look no further. WebCharge makes content management simple by providing a host of powerful features in an extremely intuitive interface. WebCharge is a powerful yet easy to use Content Management System (CMS) that contains a host of features suitable for powering websites of all sizes from small personal blogs to full blown e-commerce websites and online communities. WebCharge's intuitive interface means only minimal training is required and help is always just a click away if required. WebCharge is managed and in the cloud so you will always be running the latest version and can manage your website from any browser anywhere. With WebCharge you can continue to design websites in your own way and make regions editable by including a prefix in your div id's. WebCharge is also extensible meaning you can use it's powerful tools and interface to manage content in your own databases. Familiar tab based layout for ease of use and multi tasking. In site content editing - see your content within the context of your website as you create and edit it. Multiple and hierarchical templates & multiple editable regions. Copy and paste content from Word and other word processing packages. WebCharge will automatically remove invalid markup. Online shop and order management. Bulk insert by copying from spread sheets.